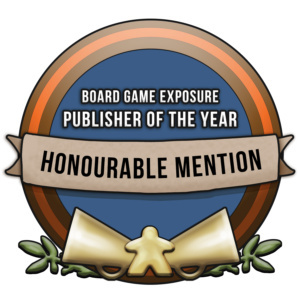 I’ve known Martyn Poole and Nick Welford for a long while now, they were really helpful when building my audience for Hero Master and getting content out. They told me that they were were looking for some award icons and a new logo for their Facebook group that’s becoming really established, Board Game Exposure and it’s spin off Board Game Exposé. So I was really happy to work with them on these different logos and icons. 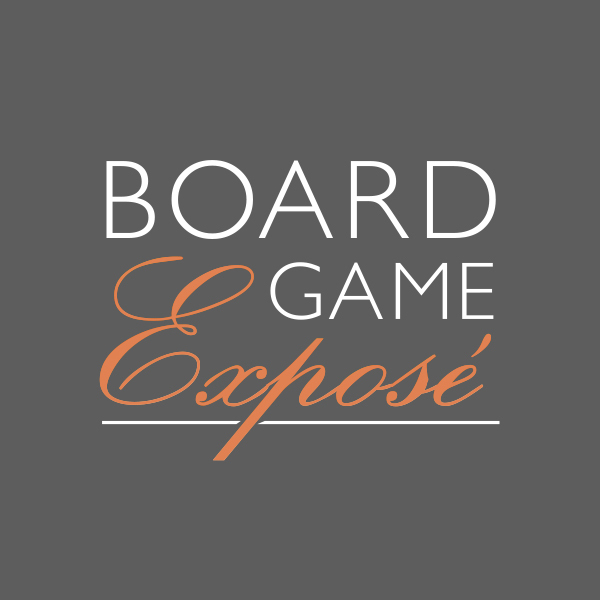 For the Board Game Exposé logo I wanted to do something that looked a little arty and creative, as it felt like a really creative and behind the scenes look into the heart of new publishers and the industry on the whole. 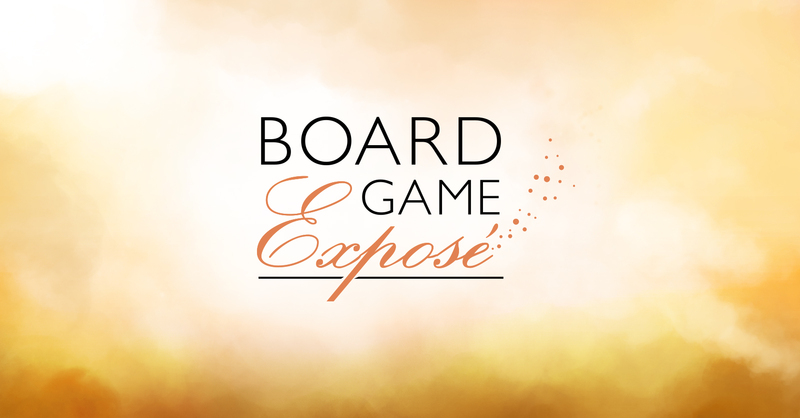 The current logo for Board Game Exposure features strong use of orange, so we went with similar branding. 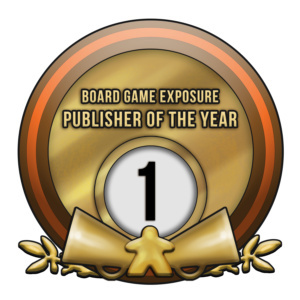 I also made these awards for them, which features the meeple in their original logo and the speakerphone the meeple is using.